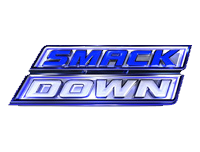 The 12th August 2011 episode of Friday Night SmackDown! kicks off with Triple H making his way to the ring and talking about how just a few weeks ago he was backstage with not much power, and now he’s the COO and will be the Special Guest Referee in the Undisputed WWE Championship match between CM Punk and John Cena at SummerSlam. He says that he respected Vince McMahon, but he had no idea about the pressure the job comes with, but he loves it and despite not asking for it, he’s going to do his job and make sure that every show is as unpredictable as it can possibly be, leading him to make some matches for later on in the show. The first is an Intercontinental Championship match between Ezekiel Jackson and Cody Rhodes, and the second a match between Raw Money In The Bank winner Alberto Del Rio and SmackDown! Money In The Bank winner Daniel Bryan. That isn’t all, as just like WWE Champions CM Punk and John Cena faced individual competition on Raw (click here for our Raw report), World Heavyweight Championship challenger Randy Orton will face The Great Khali, and World Heavyweight Champion Christian will face… someone who we will have to wait to find out, as Christian’s music hits, interrupting Triple H as he makes his way to the ring. Christian says that he told Triple H on Raw that he was going to make a major announcement on SmackDown!, so he thought that knowing that, Triple H would have picked up the phone and given him a call. Triple H says that he would have, but he doesn’t give a crap, which Christian sarcastically finds hilarious. Christian says that he is going to sue the WWE, and he asks if he has Triple H’s attention now. He says that he has medical documents stating that Randy Orton is unstable and that he has serious anger management issues, so if Triple H forces Christian to face Orton in a No Holds Barred match at SummerSlam against Orton, which would put the World Heavyweight Champion in an unsafe working environment. Because of this, Christian says that he has had no choice but to consult his lawyers, and they have decided that if Triple H doesn’t pull the stipulation, he will file a multi-million dollar lawsuit against the company, which he says means that he will sue him, his children, everybody who earns a paycheck in the company including John Laurinaitis, and going even further, he says he will sue every fan who attends SummerSlam and who watches it live on Pay-Per-View, he says he doesn’t care and the choice is Triple H’s. Triple H says that he has no choice but to announce that the match at SummerSlam is on. Christian doesn’t think that Triple H quite gets it, but Triple H refutes this and says that it’s Christian who doesn’t get it. He says that Christian has a contract with the WWE, or in essence Triple H, which makes Triple H his boss. Triple H says that being his boss and the COO, he makes the matches he wants to make, and if Christian refuses to compete in those matches, he is in breach of contract. Triple H says that if Christian is in breach of contract, he would go to the simplest option, which would be firing him and taking the title back, then asking if he is getting through to Christian and has his attention. He says that he can fire Christian and take the title right now, or Christian can compete on Sunday in a No Holds Barred match against Randy Orton at SummerSlam, and the choice is his. Christian’s asks why he’s doing this to him, and Triple H says that he knows it’s no secret that he doesn’t like Orton, but he respects Orton as do the fans, and the fans also like Orton. Triple H says that the fans don’t like Christian because they don’t respect him, and he himself used to respect Christian, but the way he won the World Heavyweight Championship and the way he has been acting since, he doesn’t respect him, and the fans don’t respect him any more either. He says that if he wants that respect back, Christian should stop walking around whining and crying like a little girl, and compete in the No Holds Barred match against Orton at SummerSlam to earn the respect. Triple H’s music hits and he starts to leave, but as he reaches the stage Christian says to cut the music off, and that as he is the champion he gets the last say. Christian says that he’ll earn it and to forget the lawsuit, and he’ll beat Orton at SummerSlam, but before he does that, he will beat whoever Triple H has picked as his opponent first. Triple H says that he is glad about all that, and especially that he doesn’t have a problem facing his chosen opponent, who he reveals is Sheamus. Christian takes on Sheamus in a match which sees Sheamus get the victory as a result of a countout, when Christian decides that the match isn’t worth it and leaves. After a video hyping the Undisputed WWE Championship match at SummerSlam between John Cena and CM Punk, Beth Phoenix and Natalya (who the announcers say want to be known as D.O.D – Divas Of Doom) are pitted against AJ and Kaitlyn in a tag team match which sees Beth get the victory for her team when she hits AJ with the Glam Slam. Afterwards, Beth and Natalya attack AJ and Kaitlyn, sending a message as Beth throws AJ out of the ring and Natalya applies the Sharpshooter to Kaitlyn. Backstage, Zack Ryder is talking to Teddy Long and says that the ratings are up because everyone who watches his YouTube show (Z! True Long Island Story) are now watching “Zackdown”. Cody Rhodes and Ted DiBiase make their presence known, with Rhodes thanking Ryder for sanctioning his Intercontinental Championship match with Ezekiel Jackson, but Long says that it was nothing to do with Ryder. Teddy Long’s attention turns elsewhere as Aksana appears, and she wants to talk business, but it flusters Long who talks about parts of a car until he quickly leaves, and as he does, Aksana says that she knows how to ride a stick shift. After a video hyping Mark Henry, Johnny Curtis is shown backstage where he is approached by Henry. Henry comments that it’s a shame that a career starts and ends on the same day, but as Curtis doesn’t appear to know what he’s talking about, he tells him that his début match will be against Mark Henry. Henry says that he liked the vignettes that Curtis did, and that they were very colourful, but he has one for him too – he wants him to go out there and break a leg. After a video hyping Zack Ryder, Sin Cara makes a return as he goes against Tyson Kidd in a match which sees Cara get the victory when he hits Kidd with a springboard senton followed by a springboard moonsault for the 3-count. Next up, Alberto Del Rio takes on Daniel Bryan in a match which sees Del Rio get the victory when he avoids Bryan’s dive from the turnbuckle and follows it up with the cross-armbreaker, forcing Bryan to tap out. Afterwards, Wade Barrett makes his way to the ring and kicks Bryan in the head, then follows it up by hitting him with The Wasteland, then standing tall over him as the announcers say that Barrett will face Bryan at SummerSlam. Now, Cody Rhodes (accompanied by Ted DiBiase and the assistants with the paper bags) is pitted against Ezekiel Jackson in a match for the Intercontinental Championship which sees Rhodes get the victory to become the new Intercontinental Champion when he hits Jackson with Cross-Rhodes for the 3-count. Afterwards, Rhodes orders DiBiase to place a paper bag on Jackson’s head as he taunts him, but Jackson gets angry and attacks DiBiase before lifting him above his head and throwing him out of the ring. After a video recapping the events of Money In The Bank involving CM Punk and John Cena, and the events leading to their match this Sunday, the announcers hype the matches to take place at SummerSlam. Backstage once again, Matt Striker interviews Randy Orton, asking him if he’s concerned that Christian may have more tricks up his sleeve at SummerSlam. Orton says that Christian has tried what he could to make him slip up and get angry, but the only thing that has worked has been getting the rules changed. But he says that the next time they face each other, it will be in a match where there are no rules, and that he learned in his anger management class that you have to unleash your anger in an appropriate outlet, and he says that he can’t think of a better or more appropriate one than on Christian on Sunday in a No Holds Barred match. As far as The Great Khali is concerned, Randy Orton says that he won’t need the Rosetta Stone or Jinder Mahal to translate what RKO means to him, as he’ll tell him himself. Back in the arena once more, Mark Henry goes against the débuting Johnny Curtis in a match which sees Henry get the victory when he hits Curtis with the World’s Strongest Slam. Afterwards, Henry starts to drag Curtis towards the corner, no doubt planning on taking him out with a steel chair like he has so many others, but Sheamus hits the ring and forces him to bail out instead. Sheamus asks Henry where he’s going, and he says that all he keeps hearing is Henry telling people how tough he is, yet every time he comes out, Henry runs away. Sheamus says that they don’t have to wait until SummerSlam, and suggests that they get it on right now. Henry starts to enter the ring, but changes his mind and pulls Curtis out of it, giving him the World’s Strongest Slam on the outside and yelling at Sheamus that will be him in their match. Next, Randy Orton takes on The Great Khali (accompanied by Jinder Mahal) in a match which sees Orton get the victory when he hits Khali with an RKO. Afterwards, Christian’s music hits and he makes his way out onto the stage, and he says that he thought he’d come out and tell him about some information that he just received. He says that at SummerSlam it’s going to change everything, as of right now he can not wait for their No Holds Barred match as anything goes, and to trust him as he has the best thing going, and he will see him Sunday. Christian holds his title up with Orton watching on from the ring, as SmackDown! goes off the air.